Your knowledge of the law is sufficient to see this for what it was. fine post as always. But if he’d ruled the other way, I could sue the Gardai for not stopping my car being broken into even though there were no Gardai within a mile of the car at the time it was broken into, and every other crime committed would likewise be something they were liable for. The government would go bankrupt paying out the compensation amounts within a year. Besides, isn’t he just saying that our police here operate on the same basis as the police in the US, the UK and just about every other western nation? Let’s take your scenario. The gardaí don’t contribute to the success of the criminal short of not being there to put a stop to it. Even if they had a duty of care to you, your case would most likely fail, if you took it to court. As would anyone else with a similar complaint. And in this we see that the revenue stream you describe, would actually flow in the opposite direction, with you having to pay your own legal costs and the State’s. Let’s adapt your scenario a bit to show what I’m getting at. Let’s say you’re beside your car as it’s being broken into. Let’s say that there are ten gardaí surrounding you and preventing you from stopping the thief. They allow the thief to rifle the contents of your property, they allow him to set it on fire (it’ll make for a really good prosecution) and they allow him to walk up to you and assault you when he’s finished. They put so much effort into preventing you from tackling this guy, that he escapes, by walking slowly and nonchalantly away. There is no prosecution. And of course there’s no hope of apprehending the criminal as the fire has destroyed all traces of his activities. That pretty much got removed in another case in the High Court, that followed shortly after this one. I’ll be dealing with this in part two of this issue – to be written soon (touch wood!). Out of interest: on Monday 17th December 2012 Christian Morris, a teacher and an entirely upstanding and law-abiding member of the community, will be going in front of the High Court in his civil action against the Gardaí and the DPP. In 2008 Raheny Gardaí put Morris through a false, illegal and unlawful prosecution to cover up the minor illegalities of a friend of the Raheny Superintendent, a woman called Vera Duffy. 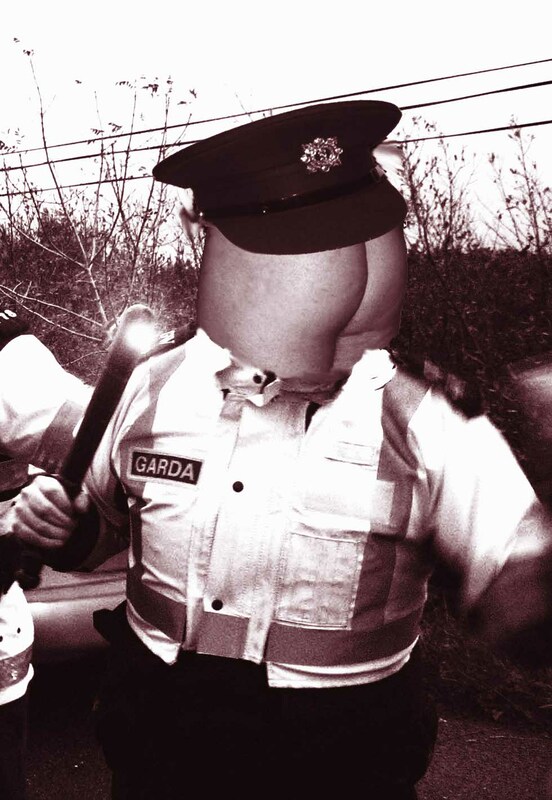 Although Christian Morris was completely acquitted, the Gardaí have refused to recognise this acquittal and have entered, into their PULSE system, an entry which implies that Morris got convicted. Recently, Clare Daly, the Socialist TD, has publicised the existence of a “Private Client Scheme” within the Gardaí. This is the means by which someone who is a friend of the District Superintendent can be excused from minor or summary prosecution where, otherwise, there is enough evidence to get a conviction. In this case, Vera Duffy was a “private client” of Raheny Gardaí. (It should be further noted that the Gardaí tried to pressurise Morris into “taking an Adult Caution”, which is a means of giving a person a criminal record without a trial). whether it is just and reasonable to impose a duty of care: yes, innocent and respectable people should expect the Gardaí to uphold a duty not to prosecute them if they have done nothing wrong and, if the innocent person is acquitted, then that person should not have to fight on to clear their name, as is the case with Christian Morris. Is that the same Christian Morris who took a civil action against a woman with MS when she parked in a disabled parking space? Who was berried by the courts from taking any further legal action against the woman or the supermarket who owned the car park? This man is the instigator of numerous ‘nuisance’ legal actions on very dubious grounds.